When it’s time to replace you gas furnace it’s important to not only choose the right furnace for you home, but the right furnace for your comfort. Gas furnace installation have very precise city codes for the installation that must be followed. Failure to follow these codes could cause you issues with comfort, efficiency and a red flag when you go to sell your home. Brand of furnace is not as important as how the different furnaces operate. A single stage furnace comes on when you need heat, brings the house up to temperature than shuts off. This type of system is great for a small house. A two stage or modulating furnace is designed to run longer. This type on furnace will provide much greater comfort to all areas of the home, especially if you have a two story home. While the furnace may run much longer it will also stay off much longer because it ran long enough to add heat in all the objects in your home. Such as wall, floor tile and counter tops. In order for the furnace to come back on everything must give up a little heat. This take much longer that is one f the reason you home will be much more comfortable. You also have the choice of an 80%, 90% and even a 98% efficient furnace. There a benefits and drawbacks between each one. The main reason to choose a higher efficient furnace is if your choice will provide you with a greater pay back over the life of the equipment. If it cost more to install a 90% plus furnace that you will receive back in saving it may not be the right choice for you and your family. At 7 Services, Inc., we are committed to providing superior service and cost-saving solutions throughout Chesapeake, Virginia Beach, Norfolk, Portsmouth, VA. With years of industry experience, our team of HVAC technicians has the knowledge and skill to meet all of your air conditioning, heating and indoor comfort needs. We service and repair a range of residential heating and cooling systems with excellence and accuracy. 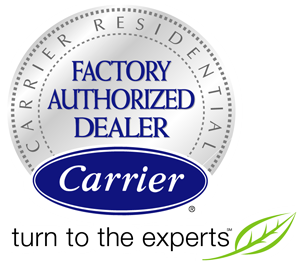 We sell and install furnaces, heat pumps and air conditioners from trusted manufacturers with proven reputations for quality and reliability. 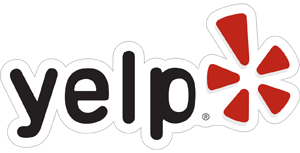 As an added benefit for our customers, we also provide free estimates on new installations. Contact 7 Services, Inc. today for heating and air conditioning service, repair and installation and Gas Furnace Installation in Virginia Beach. For more information about Gas Furnace Installation call 7 Services at (757) 965-9592 today!